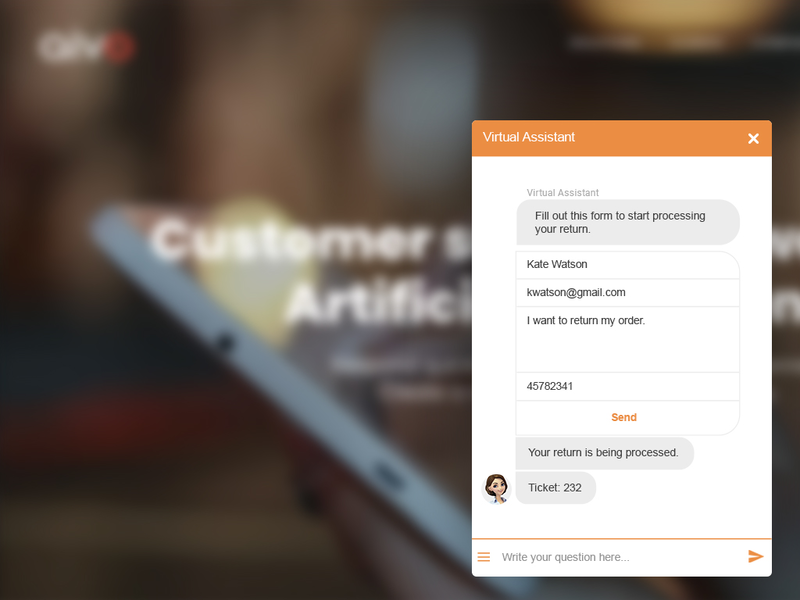 AgentBot is a virtual assistant for automatic customer support solutions with Artificial Intelligence. It utilizes natural language understanding, neural networks, and machine learning to interact with customers and provide an Omni-channel customer support experience. AgentBot can be integrated with leading CRM and legacy systems to access customer interaction data and is capable of detecting opportunities for cross-selling and up-selling. AgentBot also understands customer intent and interacts with an AI conversational engine technology across different text or voice channels. 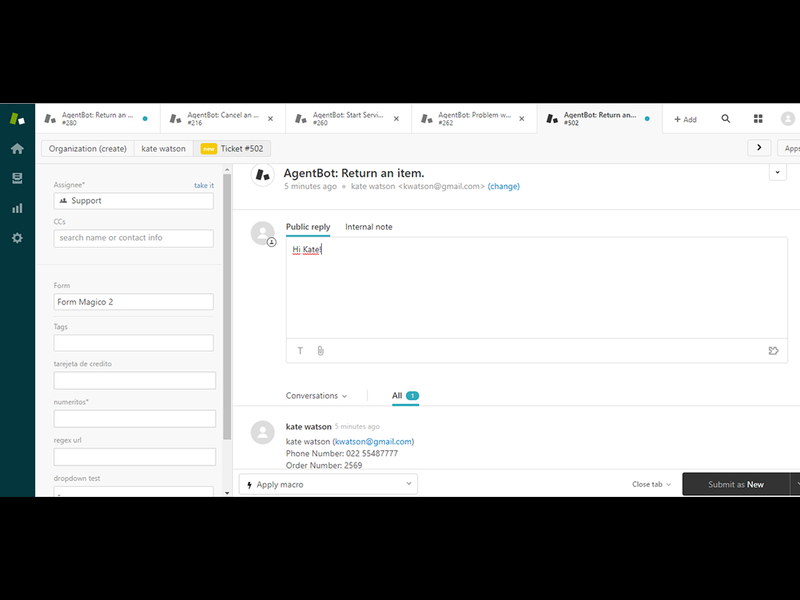 By integrating your Zendesk Support account with AgentBot, you can integrate in your answers any form that you already have in Zendesk Support. AgentBot can identify the specific intention or need that the client has and create a ticket to the specific area with the necessary details to solve the customer’s problem. 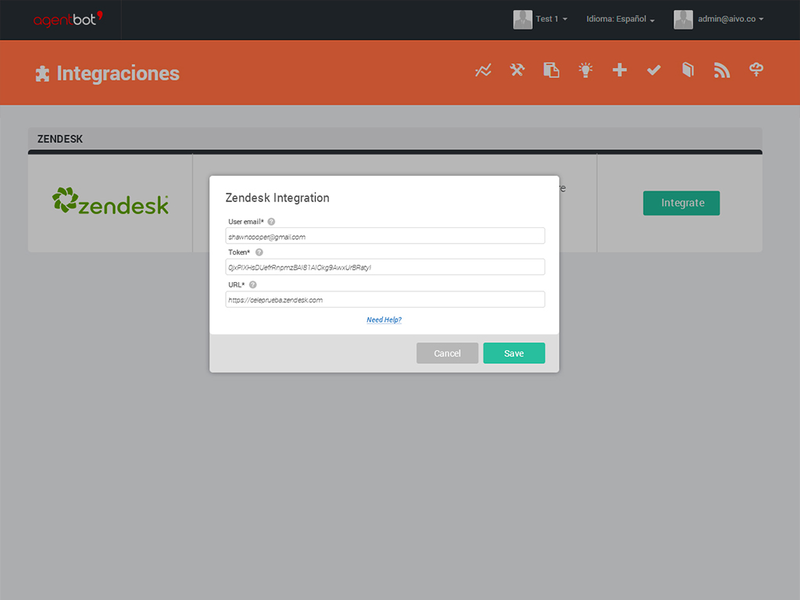 To set up the integration you must have AgentBot running. It does not require technical intervention; integration is set up directly from the AgentBot administration platform.